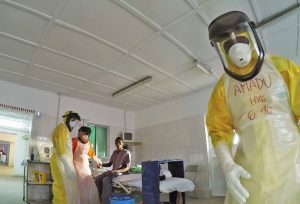 During the 2014Â Ebola outbreakÂ in Sierra Leone, the country received international press attention because healthcare workers from both Europe and the United States contracted the disease and were later diagnosed in their home countries. We all remember seeingÂ the images of bodies being carried in white sheets on the news. The fear was palpable and immediate, since it was possible that Ebola might spread beyond the borders of West Africa. But what about the people who lived it? Why didn’t we hear their stories of fighting the disease and trying everything in their power to keep themselves and their families safe? 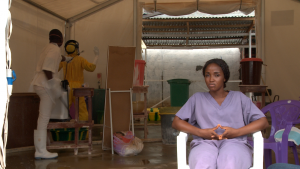 Through the eyes of Sierra Leonean filmmaker Arthur Pratt, SurvivorsÂ presents an intimate portrait of his country during the Ebola outbreak, exposing the complexity of the epidemic and the sociopolitical turmoil that lies in its wake. During one of the mostÂ acute public health crises of the modern era, SurvivorsÂ reveals the bureaucratic missteps that took place, as well as remarkable storiesÂ of individual bravery and the deep humanity of those caught in the middle of this unfolding crisis. As the Ebola virus spread through West Africa, hysterical media reports outside the region fanned the flames of anxiety. But according to Sierra Leonean filmmaker Arthur Pratt, the â€œrole that locals played in combating the outbreak was grossly underreported.â€ Pratt adds that â€œpreoccupation with the foreign experienceâ€ overshadowed the contributions of West Africans. With the collective efforts of other filmmakers, Pratt created Survivors.Â We go into the communities of Sierra Leone to follow a few of the unsung heroes who were first on the scene. Those who fall ill are kept in isolation, separated by walls, tents and even protective clothing worn by healthcare workers. But our heroes will not be deterred. MeetÂ Margaret, a nurse who prays for and hugs a colleague who contracted the disease while treating other patients. 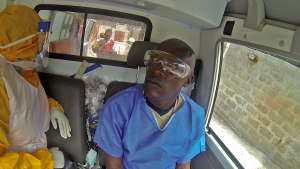 Meet Mohamed, an ambulance driver who dons protective gear and carries a man on his back to be treated for Ebola. 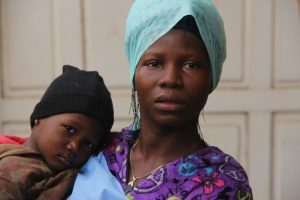 Meet Kadija, a nurse who holds and comforts a sick child who is taken from his mother to seek treatment. SurvivorsÂ premieres Monday, September 24th at 10/9c on PBS.